The MAPAL Center of Competence for solid carbide tools grinds interfaces for replaceable head milling cutters on a QUICKPOINT 3000-60S. These precision parts connect the solid carbide tool head to the shank. The robust QUICKPOINT ensures efficient, high-quality series production thanks to its high level of automation and capacity utilization – exactly what MAPAL requires from the machine. Technological developments and the latest industry solutions in the field of machine tools and automation will be on display once again at the international EXPOMAFE trade show in São Paulo, Brazil, from May 07–11. The JUNKER Group will also be there, showcasing its own innovations to a highly-qualified audience. SPINEA manufactures high-precision reduction gears. Developed and perfected for the robotics industry, the gears are used by leading robot manufacturers. Precision is therefore a must during production: with the JUCRANK and JUMAT grinding machines from JUNKER, SPINEA can ensure that its products meet stringent quality requirements. A decentralized filtration solution with permanent extraction, which catches and cleans rising smoke and dust, with the aid of four manifolds above the crane runway and adjustable air inlets, and returns the purified air via ground-level inlet openings. Since 1962, the impact made by JUNKER on the world of grinding technology is practically unrivaled. With over 80 ground-breaking patents, JUNKER is a complete supplier with an unbeaten track record of innovation. From crankshafts to thread taps – JUNKER high-speed grinding machines are found wherever ultra-precise metalworking and customized grinding concepts are called for, particularly in the automotive and tool industry. The in-depth dialog JUNKER enjoys with discerning customers is due to its unique problem-solving expertise, making the company the world market leader in CBN grinding and a pacemaker for the industry as a whole. When it comes to clean air solutions, LTA Lufttechnik GmbH sets global standards. This innovation leader, part of the JUNKER Group since 1995, develops and produces filtration systems for industrial air purification. Industrial air filters from LTA are used as original equipment in machine tools, for retrofitting existing machines and also as central systems for hall air purification. From craftsman‘s workshops and small-scale enterprises to globally active corporations – LTA offers the perfect solution, individually tailored to your needs, and has been doing so successfully since 1980. In addition to our incredible innovative strength, the steadily expanding sales and servicing network also make the JUNKER Group the leader in its field. 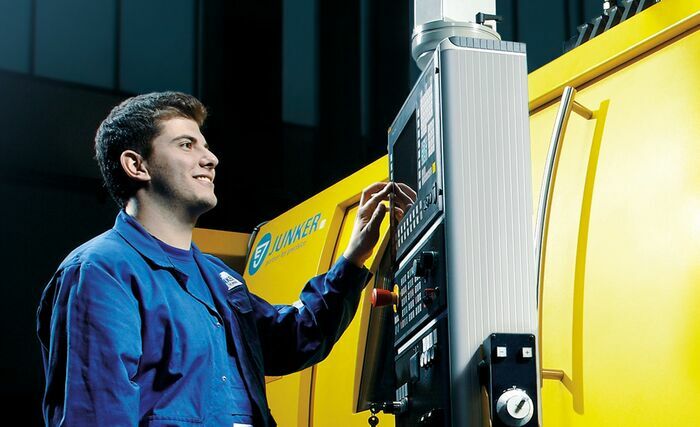 Greater customer proximity for increased planning reliability: the JUNKER Premium Service provides quick, expert assistance worldwide, is available around the clock, and will find a solution for any problem. However, our service is about more than just providing rapid assistance should the worst happen. Individual advice on new purchases or modernizing existing systems ensures an optimally coordinated product package, while intensive training sessions guarantee efficient operation at all times.